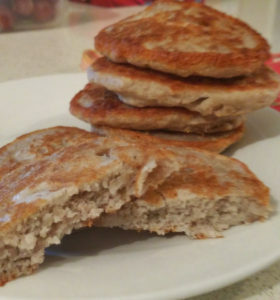 These pancakes are egg free, dairy free and Body Ecology acceptable. Buckwheat is not a grain but a seed related to rhubarb and is highly nutritious. The chia seed helps to bind them without using any egg. Soak for several hours or overnight – I leave on the bench overnight. The chia needs time to do its work, plus the soaking helps break down the seeds, which makes them easier to digest. A good article on why to soak is here, plus Mark Sisson gives another opinion worth reading here. When cooking, add 1 pinch (1/8th tsp) bicarb (baking soda/bicarbonate of soda) and 2 pinches (1/4 tsp) cream of tartar and mix well. The mix is quite thick, thicker than a normal mix. 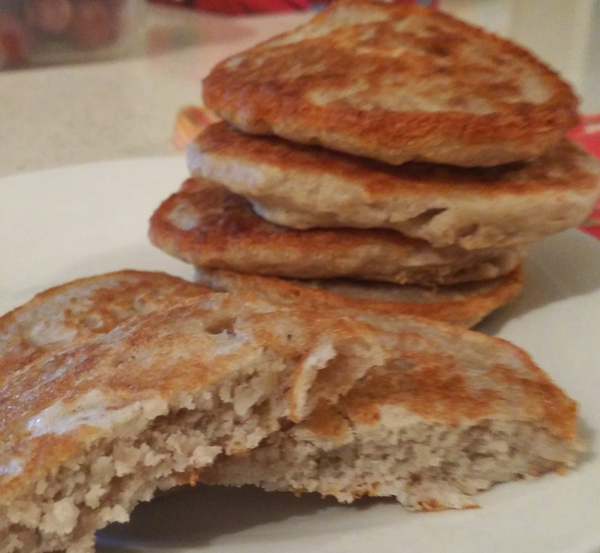 If too much water is added the ratio goes out and you end up with gluggy pancakes. 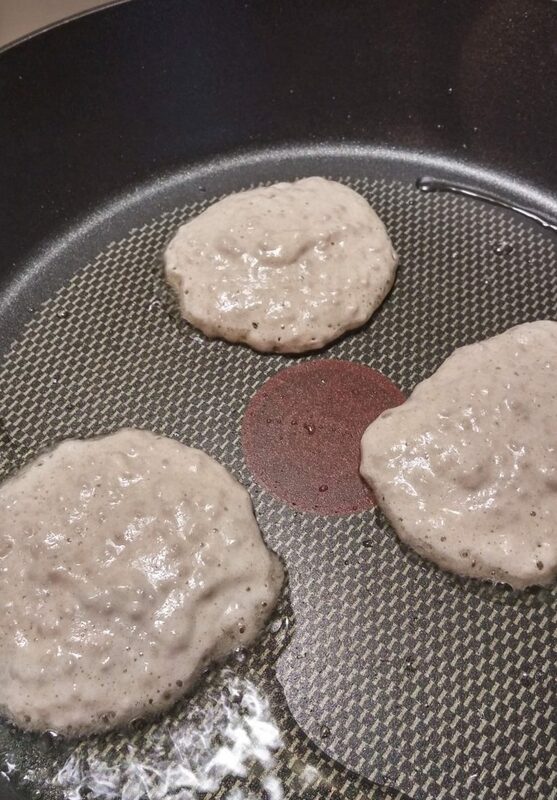 Add coconut oil to frypan and cook pancakes on moderate heat until golden brown. 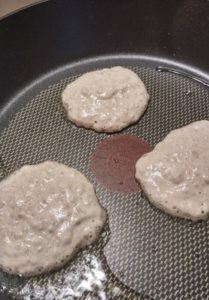 I use roughly about 2 tsp of coconut oil to the pan for each batch. A decent amount of oil is needed – they don’t cook the same if trying to do them “low fat” as some people are inclined to do. 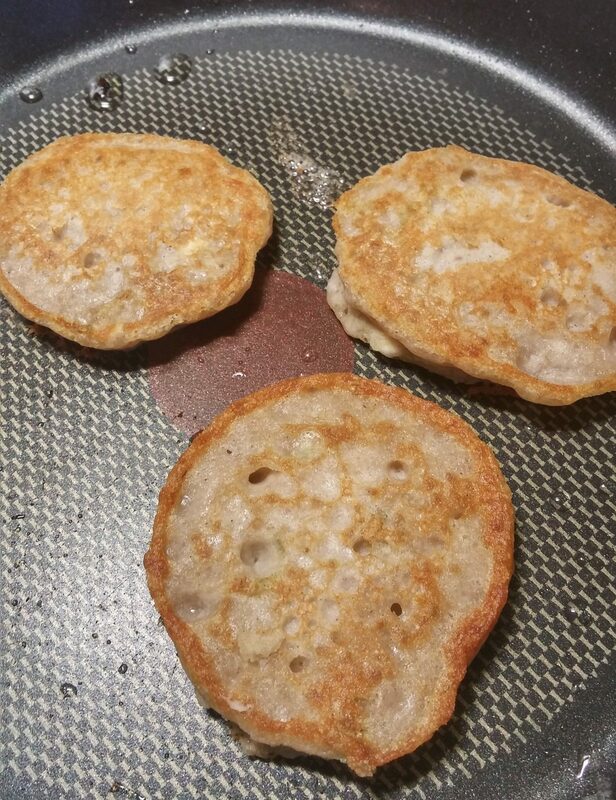 Makes 6 or 7 small pancakes. 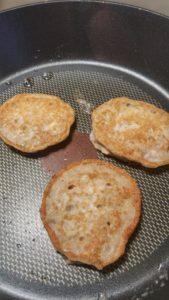 As you can see from the photo, they have a nice “bread” consistency”. As this recipe uses buckwheat flour, rather than the whole seed, it is not something to eat everyday but great for an occasional treat. 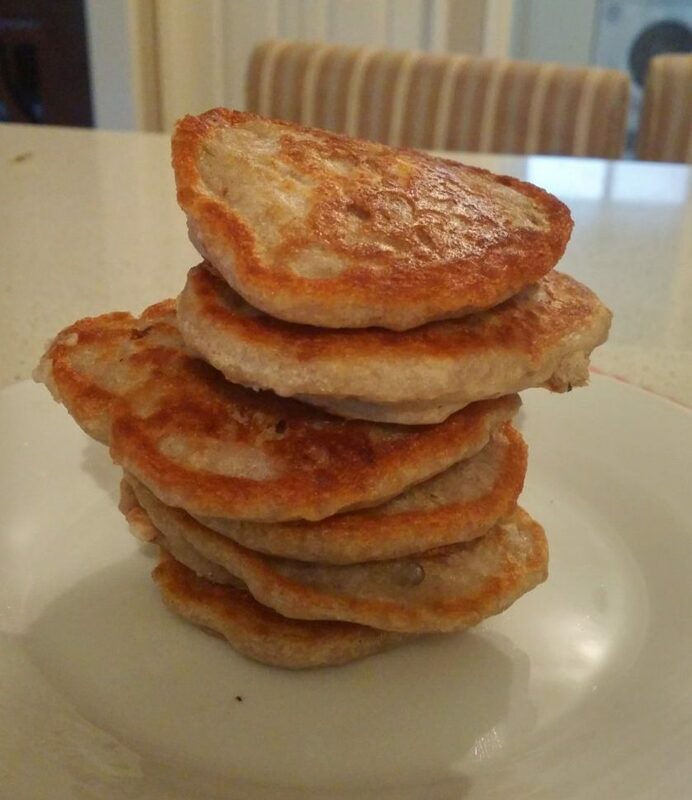 They would work well as part of a starch-based meal, accompanied with a large salad and cultured vegetables. I eat them with a large salad or as a side to a vegetable based soup, often topped with avocado and sea salt. I don’t combine them with meat but find they digest better if eaten with a plant-based meal.